When you hire Signature Realty Group you are enlisting an entire team of professionals that have your best interest in mind. When deciding on a price, structuring and negotiating an offer or locating the best financing options, our Team are the experts you can trust. My team has over 30 years of combined experience in the Real Estate Industry to help you navigate the process of buying and selling at the Lake. Personally, I am excited to help you through the many phases of real estate sales or purchases with confidence. When you allow me to represent and guide you through real estate at Lake of the Ozarks, I will do my very best to ensure the process is satisfying, rewarding and as stress free as possible. Customer Service is my top priority and my goal is to add you to my list of VERY SATISFIED customers! Danae was amazing. Danae was extremely well organized and efficient. We couldn’t be happier. Danae was available at any time to answer questions or make suggestions. We feel like we now have another Lake friend to call on if we need any recommendations or advise. I would not hesitate to have her as my agent in the future. She was truly awesome from the first time we met until the day we closed. A true classy professional. Sold a Condo home in 2018 in Osage Beach, MO. I live out of state and so the thought of selling my condo seemed a little bit overwhelming being far away. Danae and her team were great to work with and made the process go very smoothly! And, the condo sold after only being on the market for 2 months!!! Very pleased. Danae took care of my husband and me all the way. No complaints, only positive remarks. To anyone reading this, you won't regret chosing Danae to represent you. My wife and I recently worked with Danae Cooper and Signature Realty Group on the purchase of a home in Porto Cima. Danae managed the process flawlessly and was always readily available and knowledgeable regarding any questions that arose. She is a true professional and a pleasure to work with. 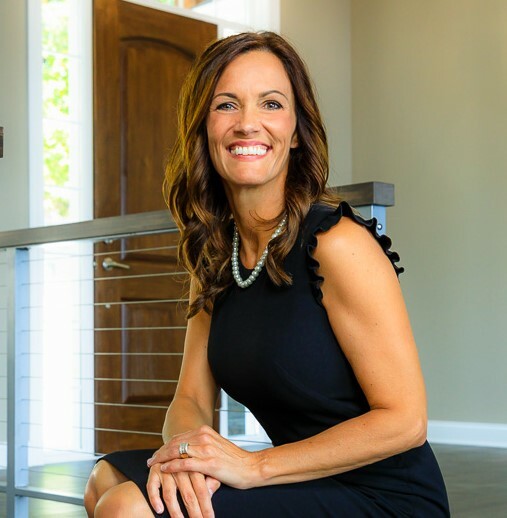 If you are looking for a team player to assist in the buying or selling of a home, we highly recommend Danae and Signature Realty Group. Sold a home in 2018 in Osage Beach, MO. with. Sold our condo for full asking price in 4 days. Bought a home in 2018 in The Landing, Monroe City, MO 63456. We immensely enjoyed working with Danae! Not only was she knowledge, but she was also prompt and hard-working! I would highly recommend her and we will most certainly use her for any of our real estate needs in the future! Danae was amazing! She was very patient with us and worked hard to find us the perfect condo. She is very responsive and pleasant from the beginning and even after the sale. We would highly recommend her. Danae did an excellent job marketing and selling our Condo quickly. She was very pleasant to work with and kept us informed as the transaction progressed in a timely manner. Would highly recommend Danae and her firm for Buying or Selling real estate in the Lake area. Thank you Randy!! It was a pleasure helping you with this transaction! Thank you so much!! I hope this condo serves you well and your family create many great memories!